Dude York exudes confidence on their latest rapid-paced record. 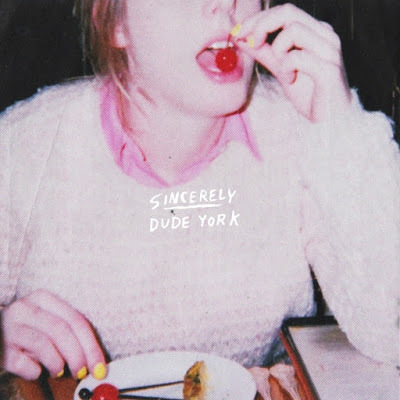 Sincerely, the latest from Dude York, is a rapid-paced album about acting like you’re tough even when nothing seems to be going your way. This resilience bubbles close to the surface while the Seattle trio experiments with different styles on each track, trying on eighties glam in “Black Track” and pop punk in “Something in the Way.” The band, with Peter Richards on guitar and vocals, Claire England on bass and vocals, and Andrew Hall on drums, revels in the strange, adolescent feeling of overconfidence mixed with self-consciousness. Listen to Dude York on bandcamp. Ana Bauer is a frizzy-haired girl and student at Bard College who tweets from @anadelray when she isn’t talking about Twitter in real life.